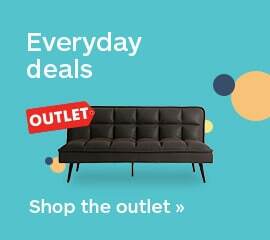 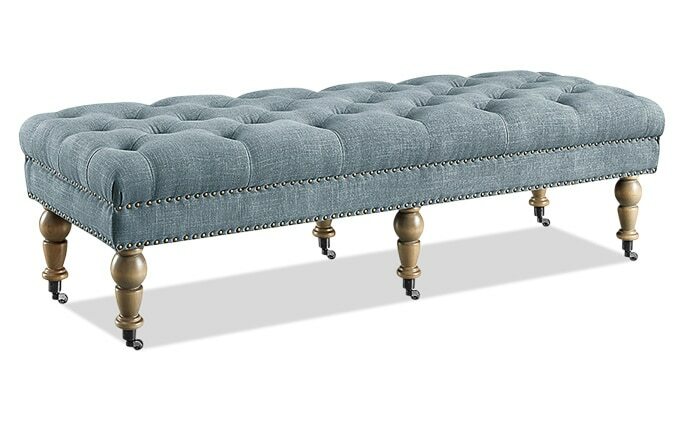 Add eye-catching style to any space with my Teal Acrylic Leg Bench! 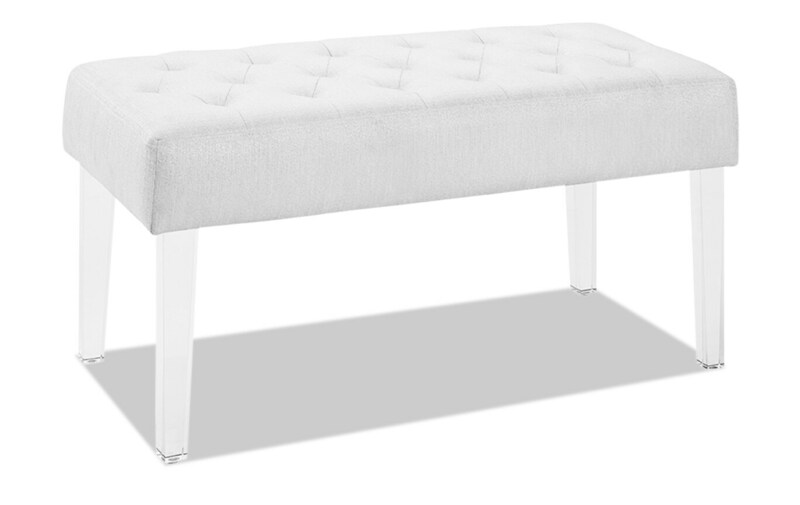 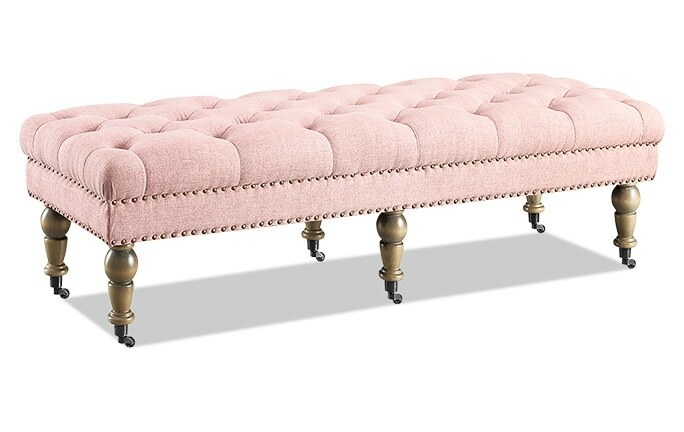 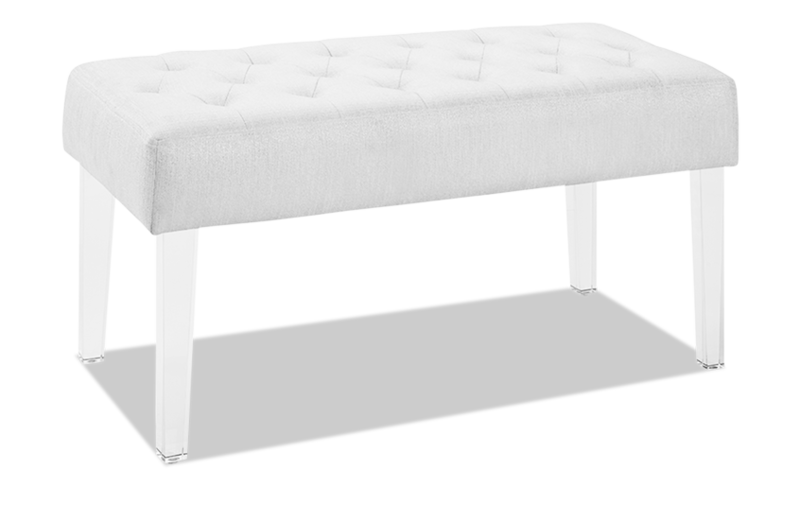 Exuding modern design and appeal, this bench is perfect for placing in a bedroom, dressing area, or living space. The clear acrylic legs offer a dramatic look to the classic shape, while the plush seat is upholstered in white polyester fabric and features simple tufted details. 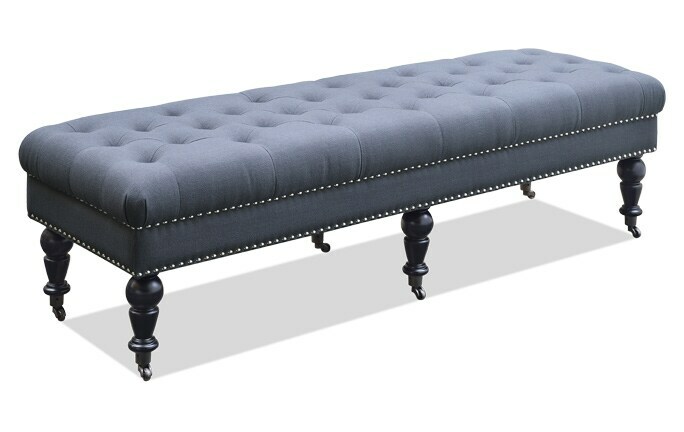 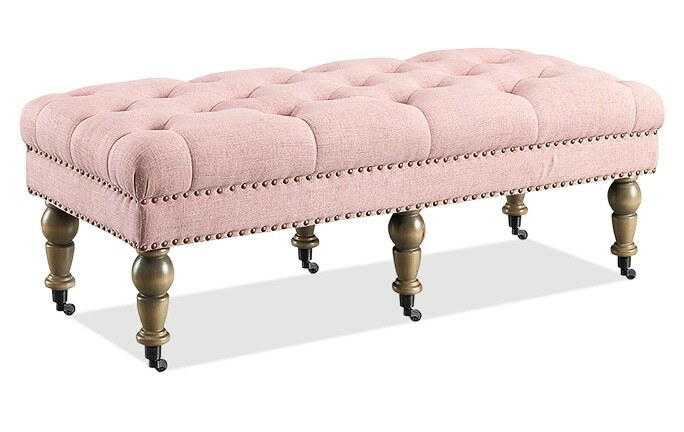 Measuring 18" in height, this bench is not only stylish, but also convenient!